I was trying to think about one story I could tell you to really affect you. 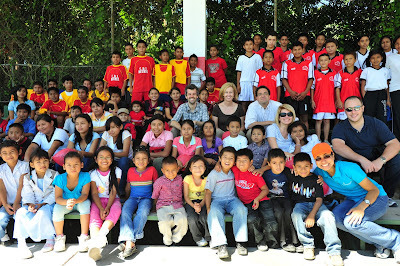 One thing I want you to know about Compassion and El Salvador and about my trip. One thing I wanted to leave you with. And I couldn’t come up with just ONE story because I have seen so much this week. But I can tell you what I think the one thing that has struck me the most. And I can tell you that two years ago – I could have come on this trip and felt completely different. This trip I saw everything through a mother’s eyes. I know probably 65% of you are mothers and probably another 35% of you hope to be a mother one day. (and maybe 3% of you are men? Ha!) Being a mom has just totally changed my heart. And this week I have thought SO much about the mothers here. I planned for years for Harper to come. I bought dresses ahead of time with her monogram. I carefully planned her nursery so she would have a wonderful bed to sleep in. I spend all of my time trying to keep her safe and happy. I wipe everything down constantly to keep germs off of her. My every thought these days are about her and how to help her in life. Now imagine the moms in El Salvador (or other third world countries). Imagine not having a warm bed to put your baby in. Imagine having to put all your children in a dirty bed on a dirt floor. Imagine not being able to give your baby a warm clean bath every night. Imagine letting your children play outside knowing that gangs kill people right outside your house all the time. Imagine living down a very long, steep ravine that crosses over a sewage creek and having to make that walk several times a day when you are eight months pregnant or carrying a newborn. Imagine working all day long so hard to earn $2 and having to lock your baby in your house with no food or protection. Imagine wondering that day if you would even have food to give your child that night. Imagine having no other “mom” friends to have play group with or to hang out with. Imagine no “girls night out” while your husbands keep the kids. Imagine having to dress your kids in the same dirty outfits day after day. Imagine storing those clothes in an old unworking refrigerator or a clothes line outside. Imagine having a little girl that would grow up and worrying she would be raped or become a teenager mom (which is so common). Imagine being that teen mom with no family to support you and no idea how to be a mom. Imagine living in a small house that was completely wiped out by a mud slide after a hurricane and having two children including a 2 week old baby and having no where to live and no food or water. These are all things I've witnessed this week. And now imagine your own family and just how blessed you are. Think of those moms and how you could help them and their children. I know I want to give Harper the WORLD. And literally I want to give her the world by teaching her about how people live in other countries and how blessed we are. I want her to know it is SO much better to give than to receive. I want her to know that to whom much is given – much is required. I want her to know she CAN change the world – one child at a time. 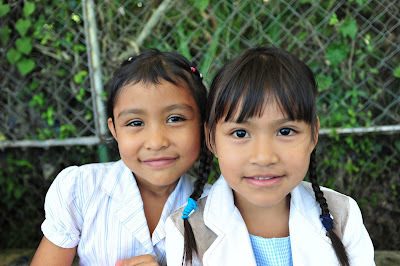 Sponsor a child – www.compassion.com. You won’t regret it. I know we are SO thankful that we do - and we will sponsor more!!! I wish you could have seen how hard Daniela's mom cried this morning as we prayed with her and told her we would be supporting Daniela until she graduates and we would pray for them every day. I imagine the relief she must feel to know that someone across the world is going to help her and give Daniela the best chance at a good life. I feel honored and humbled that we can do that! P.S. To see video of us meeting Daniela this morning - go HERE! P.P.S. I totally played Soccer today, spoke quite a bit of Spanish, watched chickens being killed, feathered, and gutted and used the bathroom outside - I am so far outside my comfort zone that you have NO idea. And it's a week I will NEVER forget!!! thanks for sharing your trip and experience with us! i know i take way too much for granted....thanks again kelly! What a wonderful day ya'll have had! WOW! Oh, the absolutely PRECIOUS video is just sooo priceless! I know ya'll are learning so very much this week! Meeting Daniela will be a precious memory for ya'll forever! Thank you, Kelly, for sharing your journey. It is beautiful and life-changing. We do not sponsor a child yet, but I plan to very soon! WOWOWOWOWOW!!!!!! I have no words!!!!!!! Sweet! 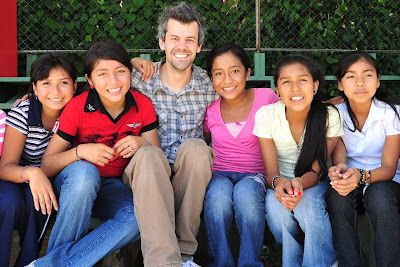 Can anyone go through Compassion on a mission trip or how does it work? Thanks for sharing! Oh how this made me cry! Beautiful post, BEAUTIFUL babes, and beautiful beautiful God. Thank you for sharing this my sweet friend!!! Oh Kelly, that video and this whole post is just LOVE. Pure love, in Jesus' name. What an absolutely beautiful thing! How sweet to see you get down and give her a big hug.....what a precious little girl! I feel like I have just witnessed a little bit of what it will be like in Heaven. Thank you so much for sharing this! Thanks for sharing! I have enjoyed reading your posts this week. Isn't it wonderful how being a mother can open your heart? I am so glad God allowed me to become a mother so that my heart can be open to show love to others in need. I pray that the rest of your trip is safe and productive. The video and post had me in tears! I'm so blessed by your experiences - thank you for sharing! Sitting here bawling after watching that video...my husband and I sponsor a little boy in Haiti, and 3 children (2 girls and a boy) in Kenya. I would love to be able to meet them someday...how wonderful that you could meet Daniela! A simply wonderful post Kelly! I am so proud of you and proud to be your Mother! Praying for a safe trip for you and Scott tomorrow! I have never posted on here before, but came across your blog randomly a few months ago. I have to tell you you make me want to be a better Christian and I feel like every time I read your blog I become stronger! Tonight I am sobbing reading your post! I have no children yet, but hope to soon! I think you are an amazing person and have such a huge heart! Thank you for sharing your experience, one you will never forget, and one you have inspired me to do! One thing that has hit me lately; mothers in Africa, El Salvador, just pick a country; those mamas love their babies just as much as we love ours. How can we NOT help? Kelly - I know JUST what you mean. Seeing the world through the eyes of a mom is such a different view! Thank you for this beautiful insight and powerful reminder. Kelly, if you think Daniela's mother cried a lot when she hugged you. You should have seen me when I saw the video of you hugging Daniela. I thank God for you and Scott and your love for His children. Covered in chill bumps, or should I say glory bumps? God is so good, and I can only imagine the change this trip has made in your life. It's amazing how God can take us out of our "comfort zones" and truly let us see the things we need to see to humble our hearts. I pray for the opportunity to go on a mission trip one day. It's a desire of my heart, that I know God has put there. Thank you again for sharing! God bless! What a gift...thank you for what you've written. So glad you got to meet Daniela; can't imagine the emotions. Watching the video was so powerful and beautiful. What a sweet and innocent child, so excited and nervous to meet her loving family-from-afar. My husband and I were so touched that we are now looking into sponsoring a child. Thank you so much for sharing! What a moving post!! I'm so grateful for the Compassion Blogger trips, because y'all can express so well in words and photos the true need. You've done well... and I'm so glad you've had such an amazing journey this week. As for comfort zone...I lived in a tent for a year and a half...but, I know it's nowhere near roughing it compared to what you've seen! I totally know the feeling.I go to Haiti on medical mission trips and you can hop on the my blog and see some stuff in older posts.It forever change my life and will always be a part of me! I came back with a new life and a new perspective on life and how you should live to love GOD everyday with all that you have and to serve! I leave for another trip in 2 weeks and can't wait to be there with the 18 orphan girls that our church sponsors..stay tuned for more on the blog..go visit..
One of your best posts yet! I feel so incredibly blessed in giving to Compassion and hope that our family can sponsor more than the one we do now, in the near future. I almost had to give up our sponsorship because of paycuts, but I am so glad that I chose to keep giving. Thank you for this encouraging post to keep giving through the eyes and heart of a mother!!!! I know exactly how you are feeling. You are leaving a part of your heart there and will be forever changed. That happened to me, but in Ecuador. I left my heart there as well. Special blessings to you. Have I mentioned you guys are just amazing?! Because you so are and the work you've done this week is truly inspiring to me. To be a better mother, person and Christian. And it makes me REALLY want to sponsor a child! This is such a powerful testimony, and I believe God will use it mightily. The p.s. made me smile. Thanks for getting out of your comfort zone to bring this message to your readers. WOW is all I can say right now. Wow! You guys are amazing! Your week has changed my life, so I can imagine what it did to you. We will be sponsoring a child - God has let us know that. I am in awe of your trip. God Bless you!!! I have been sponsoring a child for several years, but sadly I have never taken the time to write her a letter. That is going to change! This weekend I am going to take the time to write her and start to make that a regular thing. Thank you so much for sharing your story and feelings, it has touched me. A wonderful expression of the power of Compassion; your words bring their stories to life. 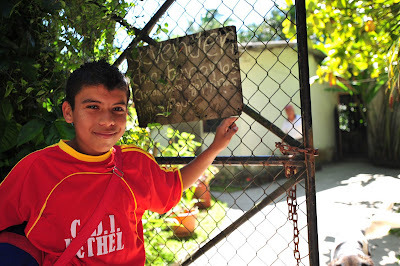 We just signed up to sponsor a 15 year old boy from Honduras. My husband was stationed there twice when he was in the Army. On one of the tours a young boy was their "guide for the area" and he stepped on a land mine and was killed. To this day it still haunts my husband - we chose to honor this young boy as a remembrance to the precious young boy that lost his life that day. May God Bless them all. Wow Kelly! What a great post. Crying again. Compassion chose well when they picked you. You can see in the pictures how much you care about the kids. Will Scott do a post on his experience? Be nice to read his point of view. I know you can't hardly wait to see Harper! What a homecoming for you. this post made me cry. Thank you for sharing this with us! Daniela is ADORABLE! Her dress set me over the edge crying. You KNOW she had on her Sunday best to meet you and Scott. What a precious memory for your family!! This post for sure had me crying! I have always wanted to sponsor a child through Compassion one day. I say "one day" because I'm just in college and never thought that I could really afford to do something like this at this point in my life. But after watching that video of you and Scott meeting Daniela, I decided I would cut back on whatever I had to so I could sponsor a child... 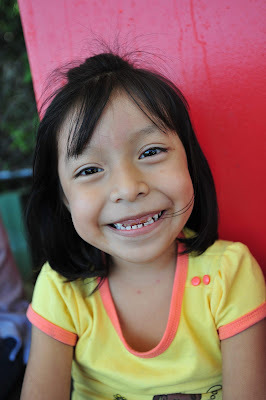 I am now sponsoring Krissia who is 6 years old from El Salvador. She has 4 other siblings and they live with their mom. I started crying even before I read your post. Your photos send the message clearly. You guys are so wonderful and are making the difference. Thank you Kelly for your willingness to serve others. I love how God is using you to touch me and others. My husband and I are sponsoring a child from Africa as of this yesterday. God bless and have a safe trip home. With tears streaming down my face I read your reminders...I watched your video...I got up and wrote another letter to our sweetheart, Evelyn in Bolivia. Compassion is amazing...thank you for spreading their mission and reminding us of those in need. I just wanted to let you know that your posts have changed my life!! Thank you so much for sharing. You are such a inspiration to me to never give up!! Oh Kelly, this is beyond touching! I am praying about sponsoring another child. Don't know how in the world we would do that because we sponsor and support so many already, but I am sure there is a way. I will keep praying!!!! It is incredible what is God is doing in your lives, but also in the lives you are touching and loving with the hope of Jesus Christ. Ahh....yet another cry fest!! Your story tonight touched me deeply. Through tears of joy, sadness, hope, and love I shared this story with my hubby and showed him the video. He has sponsored a little boy for quite some time now and through this we only want to do more! I cannot even express how much your posts this week have meant to me. I have heard about Compassion for a long time. Everything you have posted this week has spoken directly to my heart. Your pictures of you meeting Daniela made me cry so much that I have not been able to watch the video yet, but I will. And I know that I will love it. Thank you SO much for sharing your heart & trip with us all. What you wrote tonight moved me to tears. I too have a heart for the Orphans & Widows... and it became so alive in me again as I read your blog post. We ARE so blessed & I am sitting here SO thankful tonight to be in a 3200 sq. foot home, with heating, electricity & warm blankets. Kelly, thank you for sharing this with us. God has given our family a heart for these children, and we will be sponsoring one! 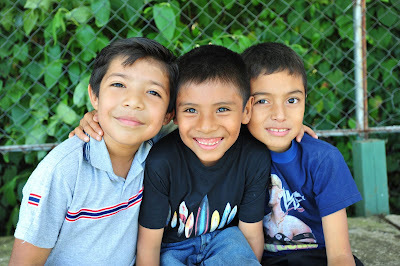 Thank you for being a vessel that God has used through this blog and in El Salvador. Harper will be so proud of you and Scott one day :). What is so suprising is how well the families manage with so little....My two girls and I are now sponsoring Julissa, a little 10yr old who has been waiting a while for a sponsor and the girls and I are looking forward to sending/receiving letters. We sponsored an African child for many years until aid workers were removed from the area. We enjoyed that but it is something else to actually see and hear from someone who has actually visited the project themselves. It really shows you where your donations are going and that you are actually helping. Kelly, I have been praying for you this week. As a tourist, you probably traveled light to El Salvador. On earth, you are a tourist too. Your home will be in Heaven. We don't NEED all those things. Harper needs GENES with a heart to serve, not 300.00 JEANS. I can see your love pouring out. Sincere love. We are so materialistic in America. Trips like this can change our lives. People are so much more important than possessions! I boo-hoo'd when I saw that video. God is moving mightily! Thanks for sharing your journey and your heart with your readers. Amazing! Wow! What a week and what an experience?! So amazingly awesome Kelly! There truly is nothing like what you've experienced and it's hard to find the words, but this was beautiful! Praying for a safe trip home! I've been reading every update and have been keeping it together pretty well. But, I seriously just lost it!!! Thank you for sharing. 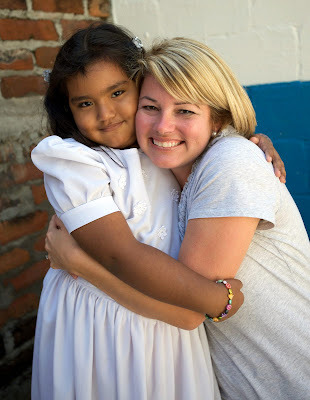 We sponsor a Compassion Child and I love the mom perspective you shared. I want my boys to truly understand poverty and to want to give like Jesus wants us to. I'll be praying for your save trip home! Thank you for showing El Salvador to me. I have enjoyed following you and I too hope that God puts a life changing event in my life as He has you and Scott. I think that you should write a children's book about your trip and the way it has changed your life! The children would love to read about other children and mother's would learn how fortunate they are here in our safe part of the world...thank our loving God for that! Many Blessings and a safe trip home! thank you so much for sharing your trip..this last post just made me cry (maybe it's because i am 15 weeks pregnant, IDK!) but it really brought me to tears...i wasn't there obviously but you made me feel like i was and i feel changed, thank you for that! Kelly ~ This is beautiful. The pictures are priceless. I'm just a newbie (pregnant in my first trimester) at this mother thing, and I simply CANNOT imagine any of the heartache you explained. Thank you so much for putting this trip into words. It's truly amazing what Compassion does. I'm so excited for you that you and Scott got to meet your sponsor child! What a special, special time! Kelly - thank you so much for sharing your trip this week. It has been such a blessing to me. We have "talked" about sponsoring a child, but now we are going to "do!" I'm thinking about how we can tie this into our Christmas and what an awesome teaching moment this will be for our girls about the love of Christ. Thank you! It sounds like you had an amazing week Kelly. Thank you so much for sharing it with us. Have a very safe trip back home, I am sure you are missing Harper like crazy! Kelly, thank you so much for sharing your amazing week with us. As a mom I think this post was especially touching. I think it is so amazing what compassion is doing for these families, the most awesome is that they are sharing Jesus and hope. Have a safe trip home and a sweet reunion with Miss Harper! thanks for sharing your trip and your experiences w/ us... for, as always, being so real! absolutely incredible....I'm holding back tears (that's what I get for reading your blog in a classroom full of middle school students...shame on me) I am SO looking forward to choosing a child to sponsor this weekend when my husband gets home. We want to pray with our 5 year old and allow him to help us choose a child. I will let you know as soon as we do!! I may not be able to stop at one!! Thank you for all that you do, and for glorifying Him through it. Ok the photos of you guys and Daniela made me cry! What a literally precious moment! How much more meaningful will be your correspondence to one another now!! Thanks for sharing your journey with us. My 2 year old from Guatemala was looking at the pictures with my saying, "Buh Bee" (my 8 year old is also from Guatemala). The children are so beautiful. It brings back memories of my trips to Guatemala. How wonderful that you can go there and visit the child you sponsor. It makes it real. You have convinced me this is a legit program and one worth sending my money too. I am going to get my 8 year old involved in writing to a child too. We take too much for granted in our lives for sure. My 2 year old is now snuggled on my lap as I type. We are blessed. I have enjoyed seeing and reading about your trip this week. Thank you for sharing so much. It is an inspiration to read through your journey. It really makes you reevaluate your own life and how I can do good unto others. Thank you again Kelly! Kelly, this is my favorite post ever on your blog. There is a tremendous call to action for any parent here. A majority of us can easily afford $38 a month to support a Compassion child. Our family has looked at doing this before when I read about Angie's trip to India with Compassion and just never got it done. But your post changed that for me and we will forever now be supporting this organization. Thank you for your words and photos. I also applaud you and anyone who is willing to step out of their comfort zone and go on a trip like you have. It is so easy for us to stay in our circle. God is clearly calling us to do more. Thank you again. The video was incredible. Thanks so much for sharing! And thanks for sharing your story and all of the pictures from your trip...incredible! I have been anxiously awaiting your posts each and every day of this trip. I can see how overcome you are with love and emotion for these children. Reading your posts has greatly moved me, too. What a great experience you have shared with us this week. Thank you so much. I was wondering if we might get Scott's perspective on this week, coming from a Dad's eyes? Once again you have brought me to tears on this post. Your trip has forever changed me and so many others that follow your blog. The video of you meeting your sponsered child is the sweetest most precious moment ever. Thank you so much for sharing your journey with the blog world. oh, man. that video made me cry. I totally get how you see things differently as a mother. Four years ago I was forever changed when our first daughter was born and since that moment my eyes have been opened in a different way. Watching the video of you and Scott meeting Daniela moved me to tears. How great that hug must have felt for you and Scott and her as well. Safe travels coming home to little Harper and Dawson! What a great post! It's wonderful that you got to meet Daniela! 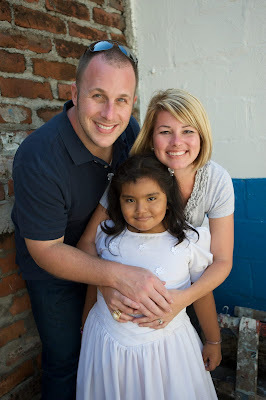 Kelly, our family just signed up to sponsor a 4 yr old little girl in El Salvador. Thanks for taking this trip, making a difference and allowing us to be a part of it! This is so wonderful. We signed up with Compassion International last year to feed children, but have not sponsored one specific child yet... Seeing these posts just gives me chills, though, and I really hope we are able to sponsor a child in 2010. I know you have experienced and learned so much this week and I'm just so happy for you! You have touched lives that have also touched you this week! Be sure of that! Thank you so much for doing this! My husband and I have been so moved and have decided to sponsor a child. We are going to go online together this weekend and choose which one. Also, our 9 year old daughter (who also loves your blog) was also moved by these children. She has decided to come up with ways to earn money and sponsor a child herself! (Of course, we'll pick up the slack if she doesn't make her goal every month). Thank you so much, you have forever changed our family! What an amazing post! 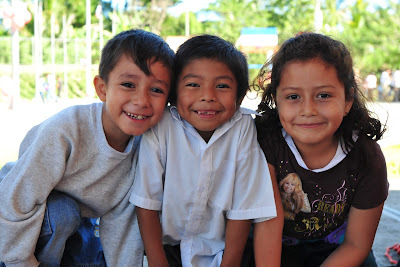 I went to the Compassion website and was SO excited to see they have children in Honduras! I found one that lives near the city I lived in and is the same age I was when we moved there. We also share the same first name initial (H!). I cannot wait to get my packet in the mail and I hope I can someday meet Heydi!!! That video made me cry. What a darling girl. I want to sponsor a child now more than ever! Once my husband and I get settled in Hawaii I will definetly look into it more!! I'm so glad you had an amazing trip! I just wanted you to know that after reading your post today, I went to compassion and am now sponsoring a child! I just cried reading your post, and like you, I am a mother and think so much differently now that I have babies of my own. I don't know what child I have yet, because I just chose one who is waiting the longest so I'm so excited to see who I get! I am going to involve my oldest kids, ages 7 and 5 so they can learn how to love and give to others. Thanks for posting and sharing and may God bless you! From one Arkansan to another! Just sponsored 2 kids -- one for each of my own. I think it's so amazing that ya'll got to go there and experience all of that first-hand. I'm definitely going to spread the word about this wonderful program! Your right...your so right! Thank you for sharing this amazing journey with us. I am going to look into being a sponsor....thank you for "giving us the eyes" so we could see. I DID IT KELLY! i finally signed up to sponsor a child thru compassion. i had heard about it thru other blogs, but you inspired me to just do it! i chose a 4 year old little boy from south america, and i hope i get to visit him too someday. thank you for witnessing to us! you reminded me how blessed i am and how i'm here to share the blessings w/ others. just incredible. there is no other word to describe reading about your experience and the works God is doing! 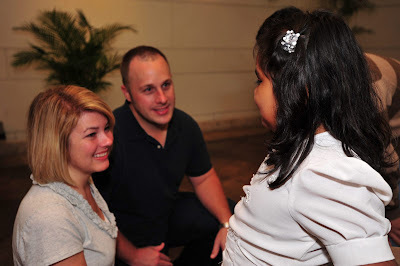 I cried while watching the video of you and Scott meeting Daniela, and then went right to the Compassion website and sponsored my first child! I am so excited!! I totally know what you mean about being changed forever. My son and I went with YoungLife to Africa this summer and I felt the same way coming home. Awesome experience. Thank you for sharing your trip with us. Oh my heart is touched. I love the picture of you surrounded by the children. kelly, what an amazing post! you hit it spot-on! Thanks for the inspiration... I am going to eview my spending habits and figure out something small to cut and sponsor a child. That video was so hearfelt and I can only imagine how she and her Mom must have felt. You are a beautiful woman on the inside and out and I'm truly blessed to you know you. I am going to pay it forward, I promise. Oh, Kelly. I just read your mom's post and it made me cry and now I am really a mess. We are so blessed we just can't stand it. Thanks so much for sharing your trip with us. I love the picture of you surrounded by the kids. Can't wait for you to get home!!! P.S. Know what I am asking for for Christmas? A compassion child! Thanks for sharing your trip with us Kelly. It reminds me of my trip to Guatemala and returning really trying not to worry so much about what I have or don't have. Needed to get back to that reality once again. Now your Daddy's response has me crying. Wonderful things God is doing! I can't imagine....but because of YOU and what you have shared this week, I SPONSORED A CHILD. I am so excited. His name is Luis Montano and I was drawn to him for some reason, and also because he has been looking for a sponsor for over 6 mos. When I clicked on him to learn more about him I realized he has the same birthday (day not year...sorry I am getting really particular, but I can't hide my joy) as my daughter. I am completed pumped and can't wait to get my packet and to learn more about my 5 year old little guy who also lives in El Salvador. What a beautiful post!!! This is so stirring my heart. Thank you for loving these families and letting us be a part of that with you. I have been reading your blog for a few weeks, but have never commented until today. 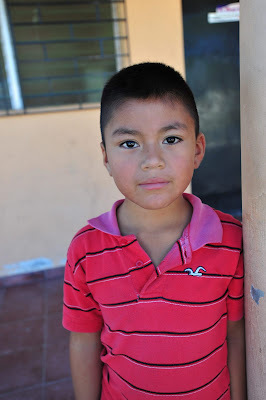 Reading about your trip to El Salvador inspired me to sponsor a child. 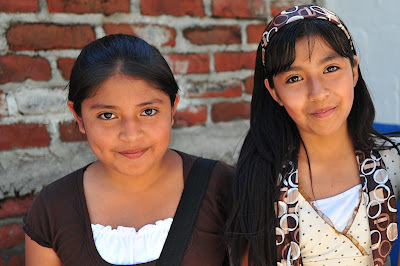 I signed up last night to sponsor Kimberly in El Salvador, and I can not wait to get my paper work. Thank you for your informative and inspiring posts; I know the Lord will bless you over and over for this. I been reading your blog on and off, I am from south America and very bless I had a good family around and all my basic needs taking care off. God bless your efforts to serve HIM. My family and I also sponsor a child through Compassion and we have been so blessed by this organization. I was so touched watching you meet your child! We feel like our Pablo is truely part of our family and we love him so much! Thank you for sharing!! awesome post kelly. we take so many things for grantd. thanks for sharing all of your experiences with us. Thank you for sharing Kelly. These types of things change you in the core to see. They make you want to give more than ever. Kelly, thank you so much for sharing about your trip. I'm behind on my blog reading and just read ALL of your El Salvador posts. I sponsor a child and have since I graduated from college- I can only imagine how special it was to meet a child you've gotten to know over the years. 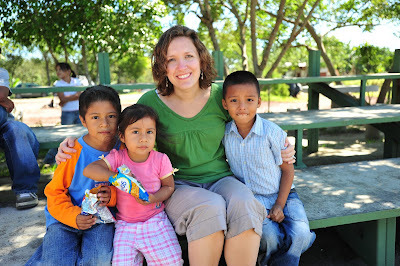 I've been on mission trips, my most recent to Belize, where I saw a lot of the true poverty you posted about. People in the US don't know what poor really is, do they. Seeing it firsthand is something I will remember forever. And one more thing- the video of you meeting Daniela is just precious. Do you know what it reminded me of? Videos from "The Adoption Story" when parents go to meet their new children for the first time. In a lot of ways, you have spiritually adopted Daniela already- she has a family in El Salvador, but what a privilege for her to meet her other "adoptive parents" from America :) God Bless You! Wow, I just totally cried watching that video. I will be talking with my husband about this!